Militants Friday shot dead two National Conference workers and injured an office bearer by firing at them from close range in Karfali Mohalla area of the city, three days ahead of polling for first phase of elections for urban local bodies in Kashmir, police said. The gunmen fired at the trio at Karfali Mohalla, resulting in injuries to all three, a police official said. The injured persons were rushed to nearby SMHS Hospital but two of them succumbed, the official said. 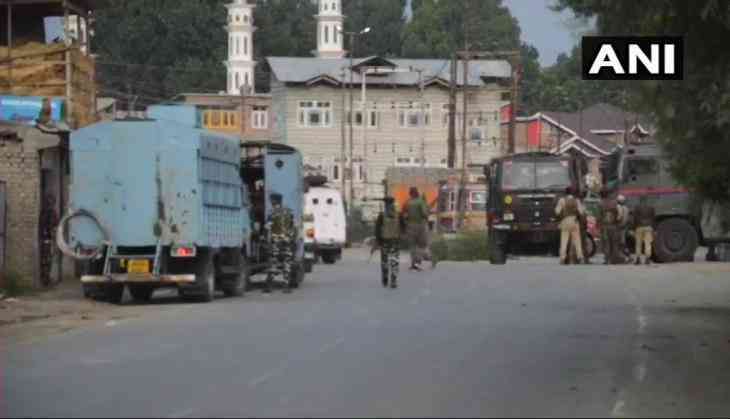 The deceased have been identified as Mushtaq Ahmad Wani and Nazir Ahmad Bhat. While both were affiliated to the National Conference, Bhat was working as public relations officer of MLA Habbakadal. The injured persons has been identified as Shakeel Ahmad Ganaie, a Halqa president for National Conference. Security forces have launched an operation to track down militants, the official said. The killings come just three days ahead of polling for first phase of elections to urban local bodies in the state. National Conference and PDP have boycotted the polls on the grounds that state's special status under Article 35-A of the Constitution is under threat due to the legal challenge to this provision in the Supreme Court.